It only takes a few weak rays of sunshine for Brits to start flashing the flesh and breaking out the flip-flops, but that's nothing compared to the delirium of cows when spring arrives. According to Sam Holden of Holden Farm Dairy in West Wales, setting the cows loose in the fields for the first time after the winter is one of the great moments in a farmhouse cheesemaker's year. 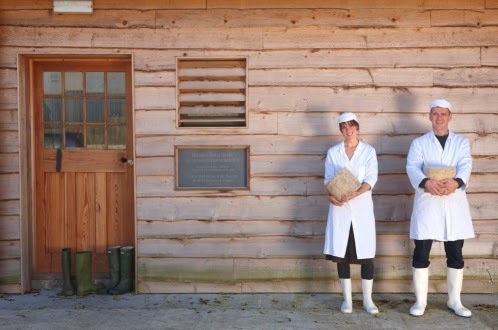 Holden and his wife Rachel make a cheddar-style organic cheese called Hafod (pronounced Havod), which has a distinctive rich, buttery flavour. By the time you read this article, the herd of 100 or so Ayrshire cows will have already made the happy dash to freedom and will be grazing on the farm's lush pastures, which have been under organic stewardship for more than 40 years. Sam's father Patrick Holden was the director of organic lobby group Soil Association for many years and first came to the farm in the early 70s. 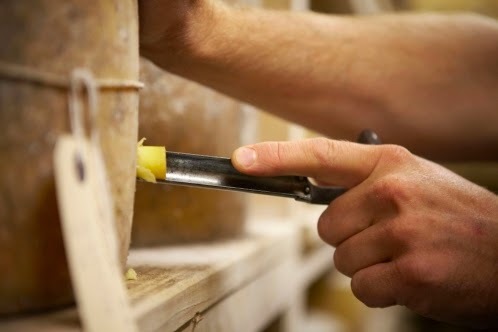 The cheesemaking business was set up in 2005 with a commitment to using raw milk, but was forced to pasteurise in March 2012 after TB was detected in the area. The farm's cows has been subject to strict but infuriatingly inconclusive skin tests ever since, which have led to 27 cows (almost a third of the milking herd) being culled. This despite the fact that TB has never actually found in any of the animals. Not being able to use raw milk was one of the reasons why Holden switched from using freeze dried cultures to a liquid 'pint' starter, which he says have added amazing complexity to the pasteurised milk.